The perusal of Tales and Novels, which induce a sedentary habit, want of proper exercise, food containing little nourishment, sudden depression of spirits, and permanent anxiety and grief; superstitions that occasion despondence and a gloomy sorrowful disposition, are the sources of various Female Debilities, Scorbutic Tumors and Obstructions, Convulsive Coughs, Intermittents, and all the train of Hective and Hypochondrical Affections. These seem to be relieved for a time by Mercurials and Opiates; but the Complaints return with redoubled force, and the unfortunate subject is generally a Patient for life. The Proprietor of the VEGETABLE SYRUP of DE VELNOS is daily lessening the number of these amiable, but unfortunate victims. His medicine, mild, nutritive, and powerful, calls into action the resources of Nature, and wonderfully restores those whom erroneous habits, and erroneous practice, have long menaced with the symptoms of ruined constitutions. The genuine medicine is prepared and told by the proprietor, Mr. Swainson, No. 21, Frith-street, London, at 13s. per bottle; and by all the respectable medicine Venders in Town and Country; but Pills, &c. assuming its name or properties, are fraudulent and dangerous impositions. —Bell’s Monthly Compendium of Advertisements for April, 1807, La Belle assemblée, Volume 2. 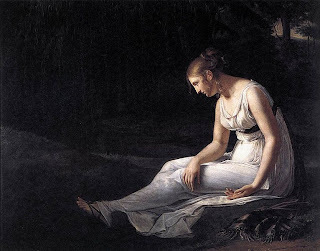 Illustration: Constance Marie Charpentier, Melancholy, 1801. Fanny was the inspiration for some of his best poetry - she was famously his "bright star" - and they were dear friends as well as betrothed to wed. 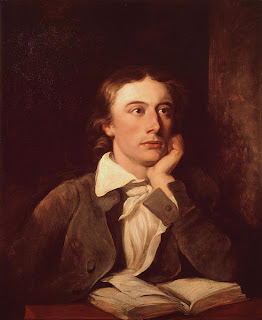 But Keats was already feeling the affect of the tuberculosis that would finally kill him, and though he and Fanny lived next door, their relationship was often limited to letters that are heartbreaking in light of his failing health. 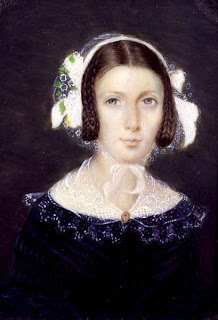 After he died in Rome in 1821, Fanny mourned him for six years, and kept his letters for the rest of her life. She asked her children to take care of them as well, supposedly telling them that the letters could "someday be considered of value." "Someday" came today, though more than 150 years too late to benefit Fanny. 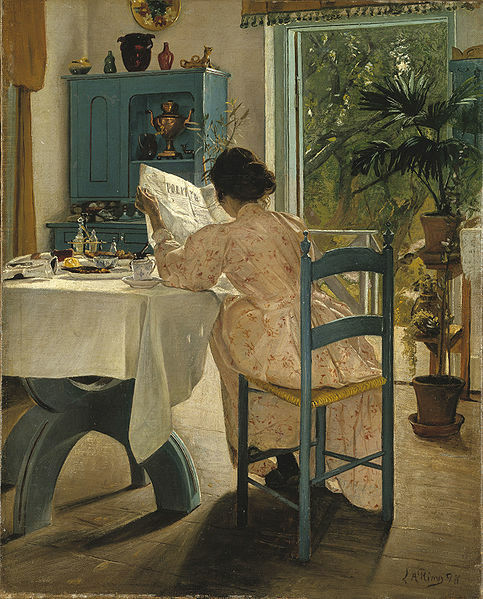 This morning several of those well-treasured letters were auctioned by Bonhams in London. The final sale price for the letter transcribed below, one of the most moving in the collection, would have shocked the often impoverished Fanny Brawne and John Keats: £96,000. On the back of this letter, Keats poignantly warned "You had better not come to day," a reference to his contagious illness. Many thanks to Michael Robinson for sharing news of this letter's sale. AND AN M. P.'s WIFE. Kensington Gardens, where monarchs once delighted to range, and breathe " sweet odours," has now become a sink of vice, filth, and infamy, nearly as bad as Vauxhall—that nursery of prostitution. Some steps should be taken to purify this summer scene of guilt, Where every bush is made a brothel, and vice as notorious as the sun at noon day. The keepers are of no use ; they encourage the scenes they are ordered to prevent; and, for a bribe, will wink at the most horrible depravities. 'Tis but the other day, that a person observed a lady, the wife of a Member of Parliament, whom at present we will not name, go into the Marine Temple; (an edifice that ought to be destroyed) from motives of curiosity he followed. She was apparently sitting on one of the seats, and addressed him with " What do you want here? Go about your business; you impudent fellow," &c. He then discovered that she had a companion; and said,—"Oh! madam, I did not at first perceive you had got a gentleman behind you. I beg your pardon." He then bowed, and retried. The gentleman proved to be the Earl of B_____, a young and gallant nobleman. What he did behind the lady, we do not pretend to know; but this we know, that he had not any business there with his friend's wife. We shall say no more at present, as we have an intention of giving the tale to the world in a different form, with a plate of the interior of the Marine Temple, and the scene of the Lovers. We again repeat that this temple of debauchery ought to be destroyed, and the gardens closed, if nothing can be done to purge them of vice; for as they are, no woman who values her character will enter them. Illustration: Thomas Rowlandson, Bills of Exchange, pub. by Rudolph Ackermann, 1800, oil on Canvas. Courtesy WikiGallery. When reading last week about 18th c. milk-maids, I wandered off into London's street vendors in general, many selling wares that no longer have a market. Curds and whey, anyone? To my horror, one of these was the cats' meat man. Now I'm that stereotypical writer with a pair of thoroughly spoiled cats, and though I knew Georgian England was a rough-and-tumble place, I didn't want to imagine my kits on Samuel Johnson's dinner menu. Fortunately, my first reading of this trade was wrong: the cats' meat in question was food for the little darlings, not food made from them. The cats' meat man (or woman, since later in the 19th c. this seems to have become a female trade) trundled his barrow through residential neighborhoods with chunks of raw horse-meat on wooden skewers. This he would cut to order on the wooden board that topped his barrow especially for the purpose. 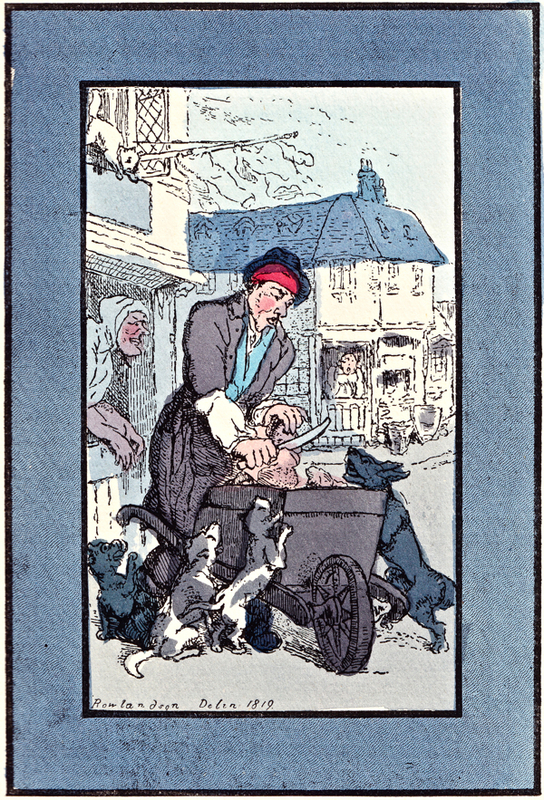 Like their counterpart, the dogs' meat men, the best cats' meat men knew their customers well, and could greet them and their owners by name. As Thomas Rowlandson's 1819 illustration, left, shows, the doubtlessly fragrant barrow also attracted quite a following, with eager pets racing to greet his arrival. I particularly like the cat leaping from the upstairs window. Charles Hindley's Cries of Old London was first published in 1880. More a poem than an actual cry, this selection does reflect a time when cat food wasn't a scientific mix from a specialty pet store. The music of their mews. A happ'orth for your Kitten! Above: Cats and Dogs' Meat? 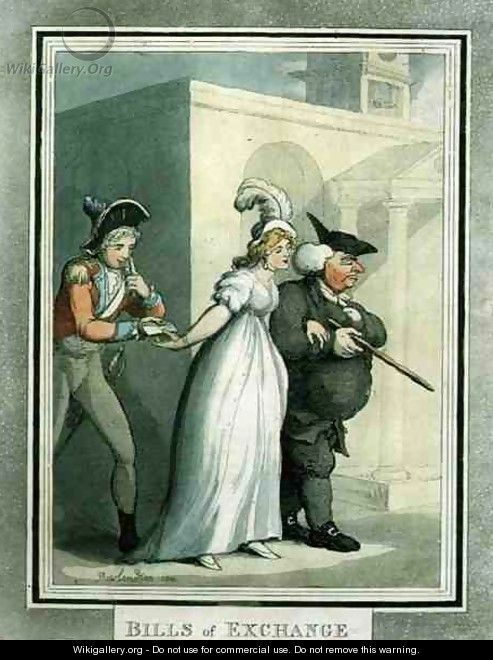 from 'Characteristic Sketches of the Lower Orders' by Thomas Rowlandson, published 1820. Shameless Self-Promotion: Loretta's a Rita Finalist! 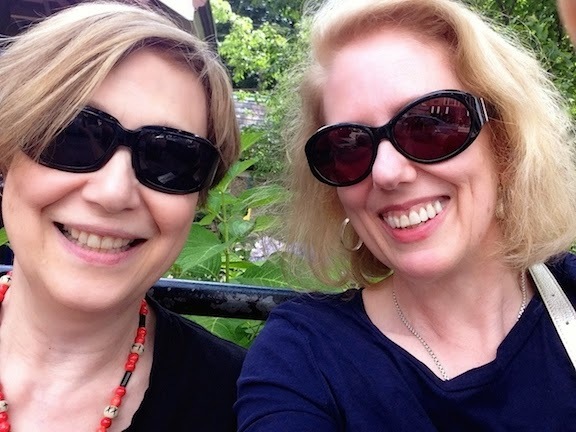 While Loretta is content to stand modestly to one side, I will gladly trumpet her good news: her 2010 book, Last Night's Scandal , is a finalist for the Romance Writers of America Rita Award, in the category of Best Historical Romance. The Rita is the highest award of excellence in romance publishing, and the competition among published books is fierce. I'm delighted that a Nerdy History Girl is a finalist, and of course, it's completely and totally well-deserved. Congratulations, Loretta! Click here for more about RWA's Rita Award. If persons who may have lost a child, or found one, in the streets, will go with a written notice to the Royal Exchange, they will find boards fixed up near the medicine shop, for the purpose of posting up such notices, (free of expense.) By fixing their notice at this place, it is probable the child will be restored to its afflicted parents on the same day it may have been missed. The children, of course, are to be taken care of in the parish where they are found until their homes are discovered. From the success which has, within a short time, been found to result from the immediate posting up notices of this sort, there can be little doubt, when the knowledge of the above-mentioned boards is general, but that many children will be speedily restored. It is recommended that a bellman be sent round the neighbourhood, as heretofore has been usually done. Persons on receiving this paper are requested to fix it up in their shop-window, or other conspicuous place. The severe affliction many parents suffer by the loss of young children, should induce parish officers, and others, in populous neighborhoods, to adopt a plan so well devised to facilitate the restoration of strayed children. Illustration of children dancing, 1820s, courtesy Wikimedia Commons. As a group, milk-maids have perhaps the best image among historical street vendors. They're almost always shown as young, robust, and ripely beautiful. With their swinging buckets of fresh milk, they're tidily dressed, and represent the healthy bounty of the country. Even today, the dairy aisle of modern grocery stores features idealized images of fresh-faced milk-maids as nostalgic testament to Goodness and Freshness. "The milk itself should not pass unanalysed, the produce of faded cabbage leaves and sour draff, lowered with hot water, frothed with bruised snails, carried through the streets in open pails, exposed to foul rinsings discharged from doors and windows, spittle, snot, and tobacco-quids from foot-passengers, overflowings from mud-carts, spatterings from coach-wheels, dirt and trash chucked into it by roguish boys for the joke's sake, the spewing of infants who have slabbered in the tin measure, which is thrown back in that condition among the milk, for the benefit of the next customer; and, finally, the vermin that drops from the rags of the nasty drab that vends this precious mixture, under the respectable denomination of milk-maid." Above: Milk Below! 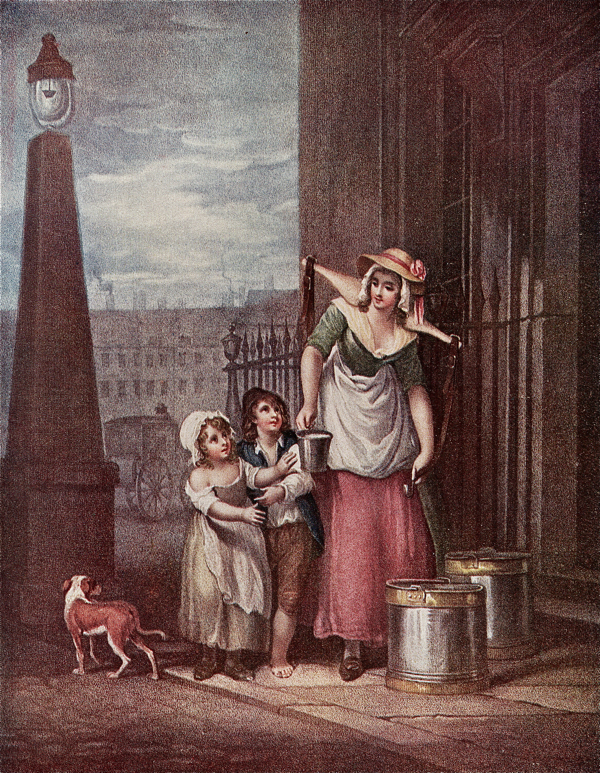 by Francis Wheatley, as part of his "Cries of London" series, 1792-1795. The chief attributes of hair should be curl, strength, and gloss. All three of which, however sparing nature may have been in her gifts, art can make up. Hair, which in itself depends for nourishment upon the head, when refused that requisite supply by a dry habit of body, and turns of deadish hue, should be oiled every morning. The way to apply oils or grease of any kind to nourish the hair, is to rub it well in at the roots, when its essential virtue can only be of service, and then brush it well. Brushing is as absolutely required by the hair, as washing by the face, it is this that bestows that fine gloss which so much improves the appearance of the hair, at the same time excluding all dandriff. This ever forms and renders the hair of a dead and unanimated appearance, when not well brushed. A hard penetrating, and a soft brush should be alternately used. The former strengthens the roots of the hair by impelling a brisker circulation of the blood, while the latter bestows the shine or polish. Oils in general, I am by no means partial to. There are, indeed, scarcely any, besides the Macassar, upon which much reliance should be placed. Bears' grease, when genuine, there can be no doubt, is very nourishing to the hair, and greatly promotes its growth, as well as strength. But neither oil nor bears' grease should be applied to the hair without a good brushing. In fact, if rubbed softly on the top of the brush, and so applied, it is quite as well. The hair should never be suffered to grow long uncut, as it seems to fade and droop, and the ends split; for this reason, to have it in perfection, it should be trimmed at the least once every month. I likewise recommend washing it once a fortnight in the summer, and half as often in winter. This should be done with water, hot as you can bear it; and if soap be used in winter, in summer it never should. Care should be taken in washing it well out, as it is pernicious in the extreme. 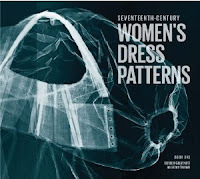 Several blog readers have asked if there will be a book or catalogue published in connection with the Accessories: Head to Toe symposium and exhibition sponsored by Colonial Williamsburg and featured here last week. Sadly, there aren't any publishing plans at this time. There are, however, two books that feature many of the pieces currently on display. 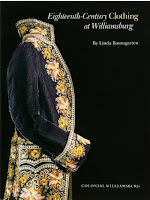 Written by Linda Baumgarten, curator, textiles & costume, Colonial Willamsburg, both books are available in paperback, and include plenty of photographs. Eighteenth Century Clothing at Williamsburg is exactly that: an introduction to the clothing worn by men, women, and children in colonial Virginia. Costume Close-Up: Clothing Construction and Pattern, 1750-1790 , goes into more detail, with photographs of fastenings, linings, and embroidery plus line drawings of patterns and construction techniques. These aren't new books, and they do both have b&w photos as well as color, but they're interesting and informative, and as costume books go, they're quite reasonably priced. Colonial Williamsburg also sponsored a second symposium last week, A Reconstructed Visitable Past. While I was only able to attend a couple of these sessions, I did learn of upcoming books by two of the speakers sure to make the hearts of you hard-core costume/historic dress folks (you know who you are!) beat faster. Jenny Tiramani, costume & set designer and dress historian, has designed impeccably accurate costumes for Shakespeare's Globe Theatre in London and the Metropolitan Opera in New York. She was also the last student of the late, legendary costume historian Janet Arnold, and helped complete Janet's last book, Patterns of Fashion 4 . 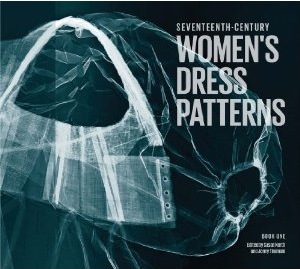 In Williamsburg, Ms. Tiramani had a press-proof of her new book (set for publication on 4/1/11), Seventeenth-Century Women's Dress Patterns , which is very much in the same style as the Janet Arnold books with even more pictures and photographs. Instantly on my shopping list as a must-buy. Another speaker with an intriguing new book is Dr. Lynn Sorge-English, Department of Theatre, Costume Studies, Dalhousie University, Halifax, Nova Scotia. Corsets and stays are an unending source of interest to those of us fascinated by historic dress, and one of Dr. Sorge-English's achievements was to research and create the master patterns for all the 18th c. replica stays worn by Colonial Williamsburg's female interpreters and employees. After hearing her speak, I can't wait to read her new book, Stays and Body Image in London: The Staymaking Trade, 1680-1810, set for publication this June. Colonial Williamsburg is also increasing its on-line costume resources. Check out their new Historic Threads page, and if you're looking for something specific or just want to browse, the e-museum has much to offer, too – not only in historic costume, but also furniture, metal work, folk art, painting, prints, and many other 18th c. American and English decorative arts. Several of CW's historic trades also now have their own Facebook pages, filled with information and photographs of current projects. Among them are the Margaret Hunter Shop (milliners & mantua-makers); the Wigmaker & Barber Shop; the Anderson Blacksmith Shop; the James Craig Silversmith Shop; the Shoemakers' Shop; and the Deane Shop (wheelwrights). Admit it: haven't you always wanted to "friend" an 18th c. mantua-maker or blacksmith? 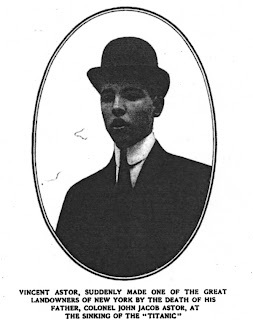 Looking for a little background to clarify some plot elements of Downton Abbey, I happened on the 1912 edition of McClure’s Magazine. 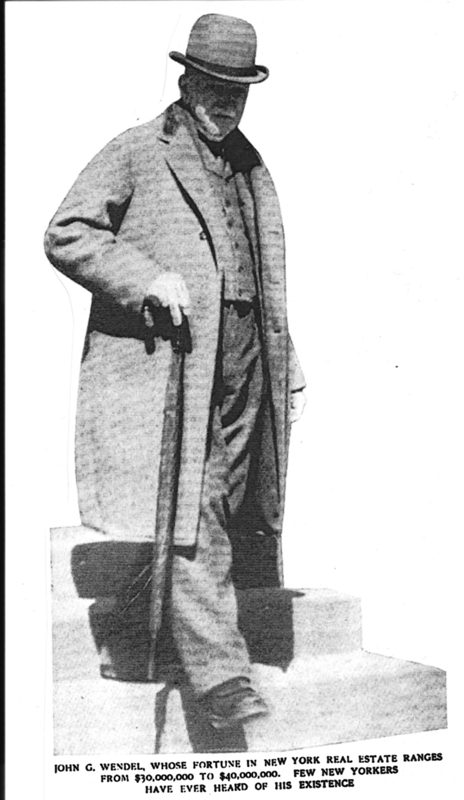 Burton J. Hendrick’s piece, “Permanent Owners of New York,” offered plenty of food for thought, starting with the photo of Vincent Astor. 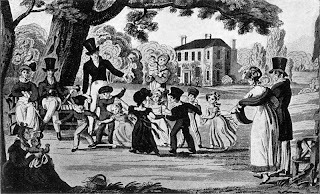 The wealth of these U.S. families was phenomenal—a circumstance extremely helpful to British aristocrats obliged to sell their treasures—or themselves, as spouses— in order to repair, say, the ancestral roof. The entire piece is well worth reading, for insights into how these fortunes were built, as well as some glimpses of the people themselves & their quirks. Since the piece is far too long to reproduce here, we'll settle for Mr. Astor and John G. Wendel, whose photos and captions I particularly liked. 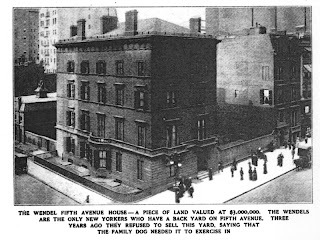 “The old Knickerbocker families of New York are to-day, precisely as were their predecessors in the early part of the nineteenth century, the owners of New York. They invested their fortunes, not in railroads or in shipping or in manufactures, but in America’s most productive source of wealth—the soil of Manhattan Island. They are the city’s landed aristocracy; they represent essentially the only American fortunes that endure from generation to generation; that maintain their own in the face of changing economic circumstances; and that steadily and surely increase from year to year." "There is John D. Wendel, for example, a brother-in-law of the first John Jacob Astor, who made a fortune as a commission dealer in deerskins, and who invested it so thoughtfully in New York real estate that his grandson owns from $30,000,000 to $40,000,000 worth to-day." The final session of the symposium was the most entertaining, and hands-down the most sigh-worthy, too. 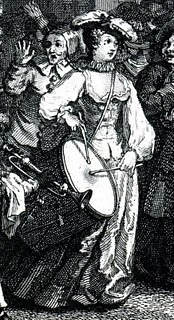 Janea Whitacre, mistress of the millinery & mantua-making trades, CW, narrated "Of All Things Millinerial": People, Product, and Public Perception. This light-hearted exploration of the millinery trade featured apprentices, volunteers, and other friends of the Margaret Hunter Shop at CW, all dressed in reproductions from 1760-1830 created by the shop's mantua-makes and tailors. Below is a small selection from the presentation, including the entire "cast" gathered on the staircase of the De Witt Wallace Decorative Arts Museum. Beautiful clothes all around – and many thanks to all who contributed to such a memorable symposium! While stylish display dictated most of 18th c. fashion, the philosophies of the Age of Reason also influenced what Georgian gentlemen wore. Susan North, curator of fashion, 1550-1800, Victoria & Albert Museum, London, explored the importance of clothing as part of a healthy life in An Accessory to Health: Clean Linen & Its Role in Dress, Disease, & Gentility. Sharing her research, Ms. North referred to the many "self-help" books of the era, including those that offered advice on medicine, etiquette, and behavior. One of the most popular medical advice books of the era, Domestic Medicine, initially published in 1769 by Scottish physician William Buchan (1729-1805.) 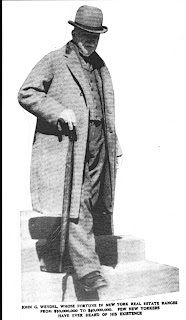 Dr. Buchan was the first to connect the idea of cleanliness with health and to promote clean clothes next to the skin as a way to avoid disease. 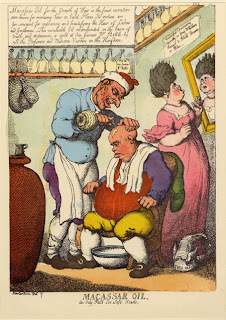 A typical 18th c. medical quandary involved both clothing and perspiration. Perspiration was considered one of the body's important ways of "evacuating" ills, and perspiration was therefore to be encouraged. "Insensible perspiration" – manifested as a lack of moisture on the skin – was a sign of the retention of perspiral matter, and a very bad thing indeed. Throughout the 18th c., experts like Dr. Buchan argued over which shirt would produce a better perspiration: a shirt made from linen (like the one above), or one made from a brushed wool flannel. A fascinating discussion! Exotic influences rather than health issues were at the core of Shawls, Sashes, and Scarves, the session presented by Cynthia Cooper, head, collections & research, and curator, costume & textiles, McCord Museum of Canadian History, Montreal. Ms. Cooper traced the importance of these rectangular textile accessories from the 18th c. into the early 20th c., emphasising how they were often used to add an exotic counterpoint to Western dress. Wide silk sashes began as part of childrens' dress in the mid-18th c., with sashes (like the ones, above right, worn by two young program participants) tied in a bow at the back for girls and in front for boys. But towards the end of the century, sashes had also been adopted by grown women like French Queen Marie-Antoinette who used the colored silk to add color and a touch of Turquerie to her favorite white muslin dresses. Kashmiri shawls appeared in French and English fashion in the late 18th c., soon after trade with India and Napoleon's conquest of Egypt made the exotic wildly popular. Traditional motifs from India were woven into the first shawls, whose considerable expense also helped to make them status symbols. Shawls became wildly popular, their warmth helped keep ladies in thin muslin dresses warm (like the lady, lower left, whose shawl features a Greek key border) while also, again, adding color and foreign "otherness" to Western attire. The original Kashmiri shawls were adapted by Scottish weavers and evolved into the popular square Paisley shawls favored by Victorian ladies, while ladies from 1830-1890 desired China crepe shawls from Nankeen and Canton with deep fringed borders, elaborate embroidery, and floral motifs. 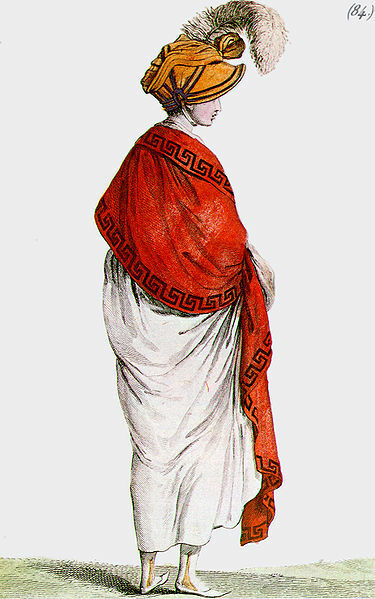 The final category Ms. Cooper discussed were Roman scarves, a bright, striped scarf or sash first popularized by visitors to Rome in the 1850s. Worn again first by boys and girls, the scarves later appeared in both men and women's dress, adding a foreign accent to everyday clothing as well as to fancy dress throughout the 19th century. 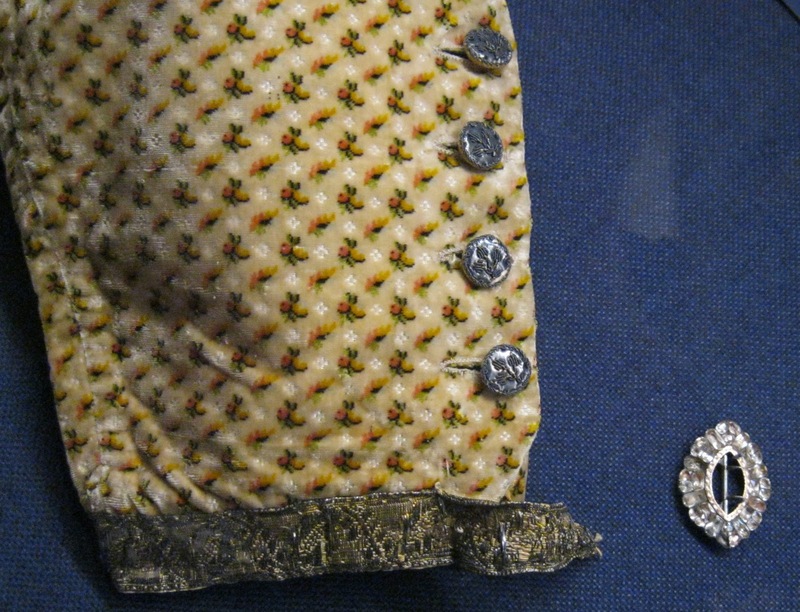 "Accessories: Head to Toe": Bonus Post: Do 18th c. Breeches Have Pockets? A reader commenting on today's post that featured the gentleman's velvet breeches asked: "Everyone always wants to know where the pockets were in the garments. I have had people argue vehemently that there are no pockets in breeches." For the answer, I went back to Mark Hutter, Journeyman Tailor here at CW. His reply: there's no definite right or wrong. Some breeches have pockets, and some don't. Most likely the decision would be made according to the wearer's personal taste. Where are the pockets? They're on the front of the breeches, never on the back. 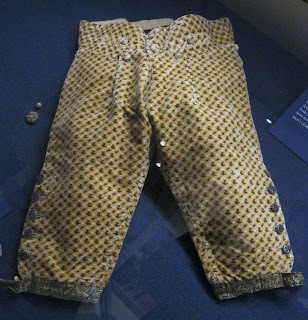 On the pair of replica breeches, above left, there is the front flap or fall, with buttons on the corners of the fall. On either side of the fall are button-through points, and the pockets are below that. Mark says that he's also seen a long, narrow pocket along one side seam called a purse pocket, with another button flap for security. For comparison, the boy's breeches, right, don't have pockets. More from Accessories: Head to Toe, a symposium hosted by Colonial Williamsburg March 12-16, 2011. But in addition to all these small, portable objects, an 18th c. gentleman's accessories included his hat, stockings, shoes, walking stick, stock, wig, fob, and sword. Also in this category were the fastenings to his clothes, the buckles and buttons that made major fashion-statements in their own right. While we modern folk tend to focus on the handmade aspects of Georgian dress, Mark and Erik stressed that 18th c. fashion was already reflecting a global economy, with raw materials and complicated manufactures crossing back and forth between North America, Europe, and Asia. Georgian fashion also inspired the development of new technology. A pair of gentleman's velvet breeches like the ones top left could have fifteen buttons, while the matching coat and waistcoat could have forty more. (Be sure to click on the images to enlarge them and see the tiny flowers printed on the velvet.) Style demanded that the buttons be elaborately designed and reflective, and new machines were invented that would stamp, cut, polish, and otherwise produce fancy buttons like the ones lower left. Included here are buttons made of steel, copper, brass, fused silverplate, pewter, white metal, mother of pearl, paste stones, and gilding. The buckles with paste stones that fastened the bands at the knee of the breeches, middle left, also required more invention, as did the ornate ribbon on the tab, woven of metallic threads: an elegant, glittering male made possible by the Industrial Revolution. Changes in technology were also much of the message from D.A.Saguto, master boot and shoemaker, CW, whose topic was From Medieval to Machine Age – A Revolution in Shoemaking. For hundreds of years, shoemaking has been a trade where division of labor flourished, with even small shops employing multiple workers to complete specialized steps in the construction process. When fashion demanded changes like higher heels or buckle closures, shoemakers were forced to meet the double challenge of creating new styles that could be produced as quickly and cheaply as possible. 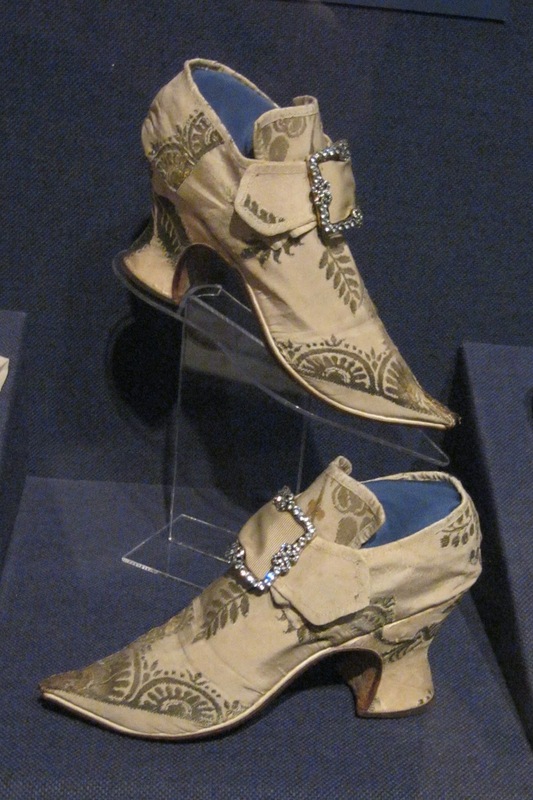 One fascinating example: before the 17th c., shoes were made with a left and right shoe. Straight last shoes (both shoes in the pair being the same) were part of the movement towards classical symmetry in fashion. But they also reflected a cost-cutting measure for the shoemakers. Varying heel heights were coming into fashion, with each kind of heel requiring a different wooden last (the form the shoe was created upon.) Straight last shoes required only one new wooden last rather than a pair, and at once the shoemaker's expense was cut in half – or at least until the 1790s, when left and right shoes returned to style. But the biggest shift in technology came in the 19th c. with the advent of sewing machines able to stitch through shoe leather. The shoemaker's skill-set dramatically switched from an artisan's to those of a machine operator, with shoes made by the million in factories in England and America. But even that technological pride has been (relatively) short lived. Al Sagudo ended his talk with a most sobering statistic: fewer than 1% of the shoes sold in America today are actually made here. The globalization of fashion, indeed. Read here for more about traditional shoemaking at Colonial Williamsburg. 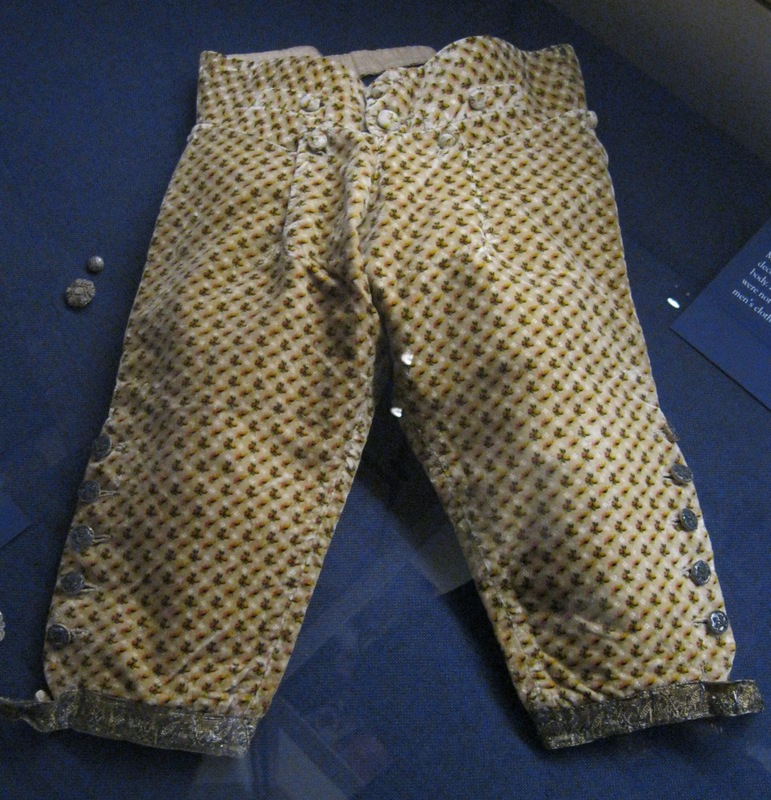 Top & middle: Men's Breeches to a Three-Piece Suit, England or Europe, worn in Virginia, 1760-80, silk velvet, linen, linen/cotton, and leather linings, silver metallic buttons & knee bands. Lower right: Women's Shoes, England, 1730-1750, silk brocaded with silver gilt, lined with linen & silk, leather soles, wooden heels. Shoe Buckles, England, 1745-1775, Silver, paste, steel. All above from the collections of Colonial Williamsburg. More from Accessories: Head to Toe, a symposium hosted by Colonial Williamsburg. I'd originally planned to cover each day individually, but now that I've made it through the first entire day (and four great sessions), I've realized that that was a bit too ambitious. Two sessions a blog seems much more manageable. Also please note that the photos will all enlarge to show detail; just double-click on the image. First up this morning was Linda R. Baumgarten, curator, textiles & costume, Colonial Williamsburg (and author of Costume Close-Up ), who offered an overview of the costume accessories exhibition currently on display in CW's DeWitt Wallace Decorative Arts Museum. Several of the stand-out pieces involved white linen. Ladies's accessories of snowy white cotton and linen, especially if beautifully embroidered, were considered a sign of status and rank. Not only could the wearer afford to purchase the finest quality, but she could also afford the skilled servants necessary to keep the linen washed and pressed. Among the most elegant were the sleeve ruffles attached to the sleeves of mid-18th c. gowns. The top left picture shoes how these ruffles were worn, while the middle left picture shows a ruffle that, while exquisitely embroidered, was never made up. But even after the style for these ruffles had passed, the appreciation for their workmanship remained. Some enterprising lady took a pair of old-fashioned ruffles and adapted them to early 19th c. fashion, lower left, converting them into a collar to fill the low necklines of the new neoclassical styles. Usually when we think of studying historic dress, we think of garments carefully tucked away and preserved. We don't generally imagine them encased in concretions, sitting at the bottom of an icy river for three centuries. But that has been exactly the scenario faced by the second speaker, Phil Dunning, material culture researcher, Parks Canada, Ottawa, Ontario. In 1690, the ship Elizabeth & Mary sank on its return from an ill-fated English attack on the French Canadian city of Quebec. Most of the ship and its crew vanished, but a small segment of the wreck that settled into a dip in the riverbed was preserved for 300 years until it again surfaced after a winter storm. While excavating the site and laboriously freeing many of the relics from mineral concretions has taken nearly twenty years (and it's not finished yet), the discoveries have been startling. Not only were the archaeologists able to determine the name of the ship and that the soldiers aboard were militiamen from Dorchester, Massachusetts, but also that they were hardly all the rough-and-tumble backwoods colonial soldiers that are the stereotype for the era. 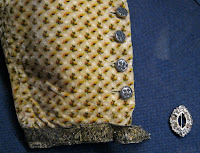 Instead the wreck revealed fashionable heeled men's shoes, stylish shoe buckles, and heart-shaped silver shirt brooches. While all clothing of linen and cotton had dissolved, that of silk and wool had not, and scraps of fancy knitted stockings, braided garters, and a length of striped silk ribbon from a gentleman's ribbon shoulder or sword knot were retrieved. Such tantalizing clues proved that the Dorchester officers – the most prominent men of their town – continued to dress to reflect their status even when embarking on a military expedition, and brought their fashionable, imported clothing with them. Fascinating! Top left: Sleeve Ruffle, England or Europe, 1760-1785. Red Bow from Woman's Gown, France, c. 1770, silk & silk chenille. Miniature Portrait of a Member of the Fauquier Family, used as a Bracelet, by John Small (1740-1811), London, England. Middle left: Unmade Ruffle, Europe, 1740-1760, cotton embroidered with linen. Lower left: Cap, Connecticut, c. 1800, cotton embroidered with cotton, cotton and linen lace. Collar made from Sleeve Ruffles, probably England, c. 1770, remade after 1800. Cotton embroidered with cotton. Above all from the collections of Colonial Williamsburg. Bottom right: A few of the pieces excavated from the wreck of the Elizabeth & Mary, including a heeled shoe, buckles, and scraps of clothing. As I mentioned here last week, I'm going to be blogging this week from Colonial Williamsburg while I attend their symposium Accessories: Head to Toe. There's an ever-growing interest in historic dress, and it's fascinating to see what a diverse group the attendees are (from twenty states and five foreign countries) , including re-enactors, museum curators, representatives from historic sites, theater costume designers, historical seamstresses, and writers, plus a goodly measure of people who just plain love this stuff. In other words, it's a total Two Nerdy History Girls crowd. 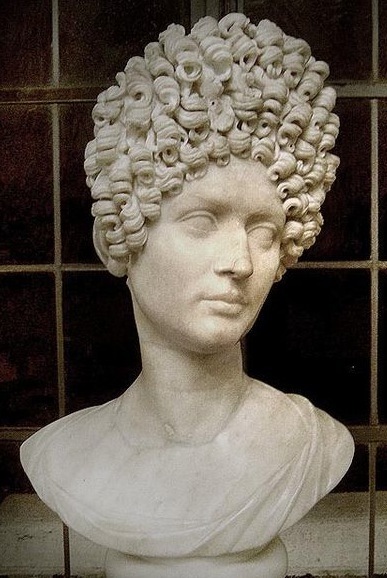 • The way that historic clothes are often displayed in books and museums – a single garment isolated on a headless mannequin – doesn't give a fair impression of how that dress or suit was actually worn. 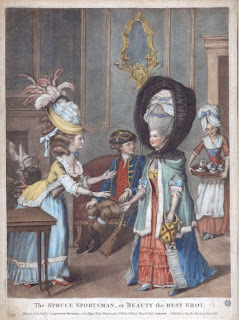 To show an 18th c. gown without its accompanying stays, shift, hoop, petticoats, stockings, shoes, scarf or neckerchief, jewelry, cap, and hat (whew!) is the same as showing a modern man dressed for the office in his suit - but without his shirt, necktie, socks, belt, or shoes. • The manufacture of 18th c. accessories had evolved into very specific trades – glovers made only gloves, shoemakers made only shoes, etc. – that were often sold in item-specific shops as well. This concept lingers today both in accessories-specific stores, and in how the departments in modern department stores are arranged. You wouldn't go to Payless looking for a jacket, would you? • Being thoroughly clothed by clothing and accessories from head to toe in the 18th c. was as much a health issue as a fashion one. An uncovered head or bare feet was thought to invite disease, and from the moment an infant was born and immediately swaddled until a corpse was dressed for the grave, the goal was to be as covered as possible. Alas, I haven't yet had the chance to check out the accessories exhibition in the DeWitt Wallace Decorative Arts Museum, but I will today, with pictures to come. I'm especially interested in seeing The Spruce Sportsman, left, finally come to life.